Have you ever walked outside and noticed your garage door was open, but you didn’t open it? Or maybe you heard it opening from inside the home? This can be an unsettling experience and a frustrating one when you have no answer as to why it is happening. 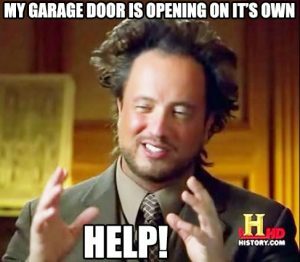 So, Clarks Garage Door & Gate Repair is here to help you and explain why and how this happens, how to stop it, and why it matters in the first place. It may be rare, but it does happen and it is always better to be prepared for this in case it happens to you. 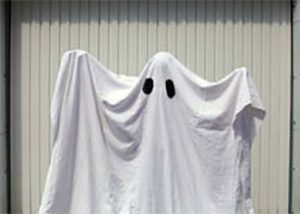 Is there a ghost in my garage? No, no spirits and paranormal activity are involved, so you can hang up that call to ghostbusters. Sorry to disappoint, but if it is not a paranormal phenomenon what is it? Well, there are a few reasons that your garage door may be malfunctioning. First, you may have hit your remote onto something, and that may be your trigger. This is a simple solution, just make sure your remote is not somewhere it will get triggered. Another small cause for your garage door opening on it’s own is that there is something blocking the sensor that allows it to close. You may walk away after pressing the garage door remote and not notice that it didn’t completely close. This can happen if the area is blocked, or if the garage door sensor is dirty, or broken. Might be time to get your sensor checked! Electrical Problems? Broken Parts? Faulty Garage Door Openers? If that is not the case, then it can always be caused by an electrical malfunction. Radio frequency is something that all devices use to operate, and it can also cause other devices to malfunction when they are using a strong enough signal. There is a possibility that someone else’s garage doors remote activated yours, but that is a small possibility since remotes are often made custom to your garage door. It is however possible with garage doors that were made before 1993. Or a more powerful transmitter could be overwhelming the garage door causing it to act up. If you still are having trouble, than it may be wise to have your connections checked for your garage door and remote. That way you know that all your connections are properly secured and there is no chance of an electrical fire. If none of these options seem to fit, it may be that lightning has struck your garage door and damaged the wires to the garage door. I am sure you are aware of the damage that lightning can cause to electrical items. It may be time to have your garage door inspected just to be sure. That way you know what the problem is! Is it defective? Or the weather? Any electrical garage door that was made after 1993 has some special safety features added to them. One of the mechanisms are mechanical and the other is photoelectronic, which is characterized by the emissions of electrons from a surface by the action of light. That is basically a fancy way of describing the sensor on your garage door. If the covering for your sensor becomes misaligned, than it will cut the sensor off, just as if something was blocking or dirt was blocking the sensors way. It causes the door to stop closing and start opening once again. This can be a simple fix of realignment if that is your issue. This issue should be obvious as there should be an indicator light blinking on your wall panel. Still no fix? Maybe it is the weather? You want to keep the surface of your garage door clean so you do not have any build up. If it is not kept clean, it may cause the mechanisms to beat against the door and build up causing a reversal in the doors programing. Why Does My Garage Door Keep Opening By Itself? Did the plane cause it? 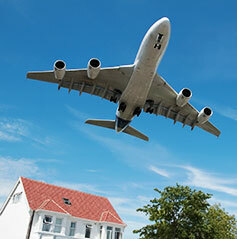 There is an urban myth that says that planes can cause your garage door to open. Is this true? Well, sometimes. It all depends on the frequency that is used for your garage door. In garage doors that were manufactured before 1993, it is possible that this is your cause. This frequency was even capable of interfering with military planes at times. This has now been corrected and most garage doors are now equipped with new frequency technology. So. it is very unlikely that this is the problem with your garage door. 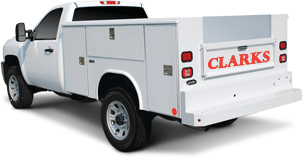 However, i you have a door that is made before 1993 you may want to have a Clarks garage door repair tech come to your home and check it out. We went over a few of the solutions as we covered them. However a quick recap never hurt anyone. Watch your garage door and visually make sure that it closes completely. This will rule out a malfunction in the mechanisms. An easier way to do this is installing a garage door monitor in your home. The monitor can go in your bedroom, or any room in the house, and let you know whether the garage door is closed or not. Another solution we didn’t cover would be looking into some of the new technology that has come out for garage door openers. There is a product called Liftmaster’s MyQ technology, and it has a ton of great features. You can open or close your garage door with your phone, computer, or tablet. 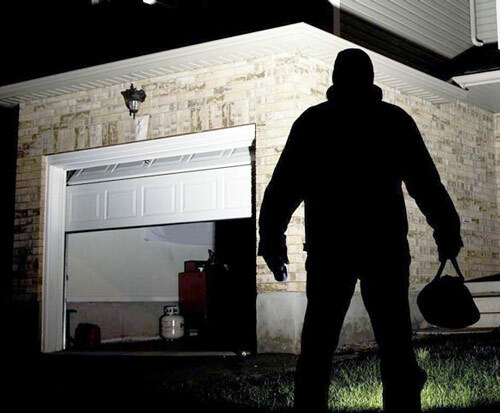 Be alerted when your garage door has opened, and even program the door to shut within 60 seconds of it being opened. It is a really great tool to have for any garage door opener. To use it your garage door will have to be compatible with the tech, though. Why do I need to worry if my garage door is open? You probably took a look at your garage door when you read this. Looked at how beat up it looks and wondered. You’ve seen the news and heard about the rise of home break-ins through garage doors, clown costumed weirdos and the rioting. This doesn’t make one feel that safe, does it? You want your garage door to be as safe as your front door so that no one enters your home without permission. Obviously, if your garage door is opening on it’s own, it is not that safe. So what should you do? There are so many features available to you for your door now that it is amazing, from basic features to advanced, you have your pick! You need a garage door that can hold up against a petty thief as well as a riot! Worse, if you park your car outside your garage an intruder can break into the vehicle and have access to the garage if you have an automatic opener in your vehicle! At that point anything in your garage is fair game, don’t let that happen. Worse, criminals are not just after your home, but your vehicle as well. They want what is in your car, and yes, even your old beat up one is at risk. Scrapping makes a good bit of money for some people, and everything has a weight. It is worth more to that person if they didn’t have to buy the piece. Which is why your garage door should be your best line of protection, not your weakest. There are so many products available to you on the market for your door today. There are tons of bonus features that are readily available as well! Like we mentioned earlier you can now operate your garage door from your cellphone! Or maybe you are not the type to want something that is that high tech, well that’s okay there are products just for you too! Conclusion – So, where do I start? Now you know you need a replacement for your garage door, or at least an update to security, but how do you start? What do you do first? This can be a little overwhelming to most, but let me give you some tips to get you started. That way you are prepared for what you’ll need to do. Start with the overall look and age of your door, does it look warped, worn or dented? Have you had it a few years now? Does it look simple to break into? Look at your garage door’s mechanics how does it open? Would it be easy for an intruder to open this door? Take a look at the garage door opener, and if you have one, look over the remote. Are they working properly? Do the buttons stick? Give Your Bland Garage Door A Faux Wood Grain Finish!